In order to serve a community, you must first learn about – and become part of – that community. That’s something that the Urban Mission in Steubenville (Ohio Valley District) has done well for many years. The Urban Mission continually explores new ways to communicate with the local congregations that support its ministries with the low-income population of the Ohio Valley. 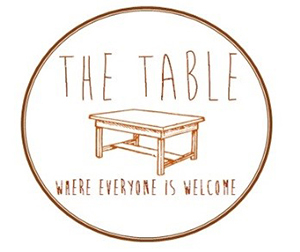 In March the non-profit faith community changed the name of its Ministry Council to the Table. The Table meets every two months. The first meeting in March featured a meal and conversation about the importance of communion and making a “place at the table” for all people. The May meeting focused on holy conferencing and holy conversation. In early July members of the Table gathered for a picnic meal on the porch of the Urban Mission and then hit the streets. More than 40 people – including many youth – took part in a guided-tour prayer walk of the eight blocks that surround the Urban Mission. The walk highlighted the spiritual importance of the neighborhood. The group stopped to offer prayer at Steubenville Big Red High School, at the local fire station, and in front of neighborhood churches, ministries, and businesses. The evening concluded with the group gathering one last time in a large circle to offer prayer for the entire community. “It was our goal to show those in attendance that prayer walks can be held in every community and that these kind of walks can serve multiple purposes,” Steele said. “Not only does it provide an opportunity to pray God’s blessings on a neighborhood, but it also helps to give perspective. Steele hopes that those who participated in the Table’s prayer walk will take the experience back to their local church and try it out in their own neighborhoods. “Right now we have over 30 churches, of all denominations, participating in the Table. Besides this great show of ecumenicalism, one positive outcome that we weren’t expecting is that we also have ‘mission-minded’ individuals who don’t have a church connection, but felt like the Table was a place for them to live out their call. The end result is that they are connecting with ‘mission-minded’ churches that they were unaware of before,” she said. The next gathering of the Table will be September 10. The group will study information contained in the book When Helping Hurts by Steve Corbett and Brian Fikkert, and in two books by Robert Lupton, Toxic Charity and Charity Detox. “It is our hope to have an honest conversation with pastors, church members, and non-profits to discern what is working and what isn’t when it comes to mission and outreach in our communities,” Steele said. Learn more about the Urban Mission and the Table by visiting www.urbanmission.org.